Our solutions that have helped thousands of customers achieve their lighting goals over the past four decades have earned some of the most prestigious awards at the highest levels of our industry. 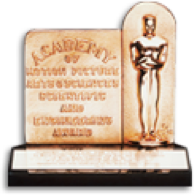 The Academy of Motion Picture Arts and Sciences awarded Musco an Academy Award for scientific and engineering achievement in film lighting. Musco was awarded an Emmy by the Academy of Television Arts and Sciences for lighting the NCAA football telecasts. The 1993 Paul Waterbury Award of Excellence for Outdoor Lighting, one of two presented worldwide, was awarded to Musco for innovative design at the Charlotte Motor Speedway.